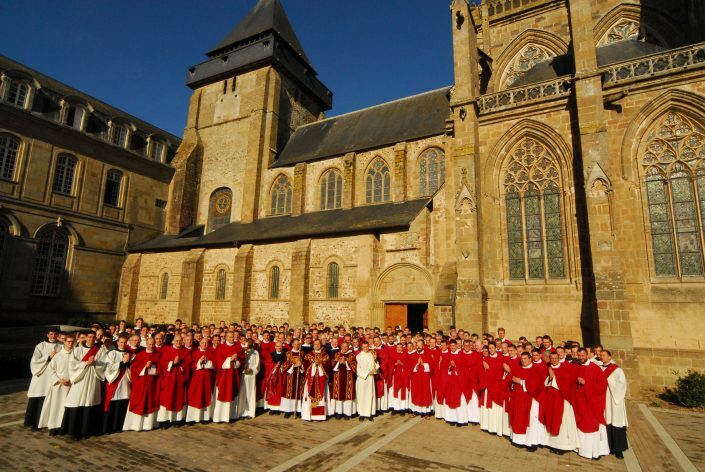 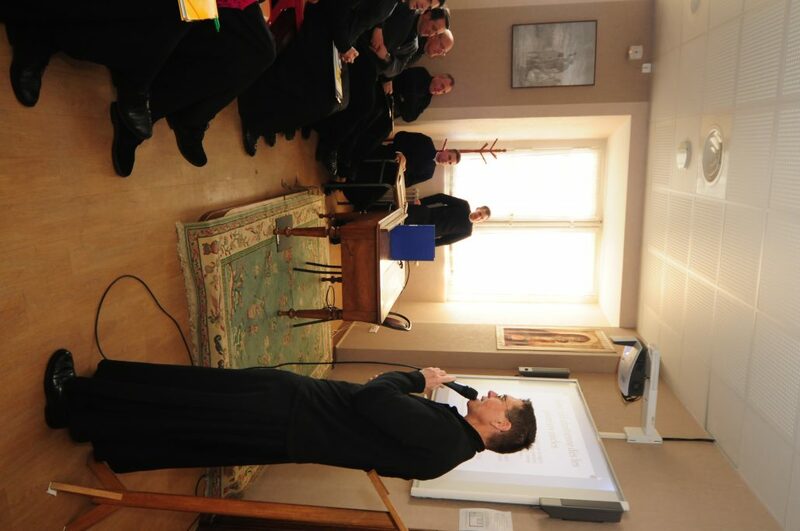 General Assembly of all the members of the Community of Saint Martin at the Mother House in Évron. 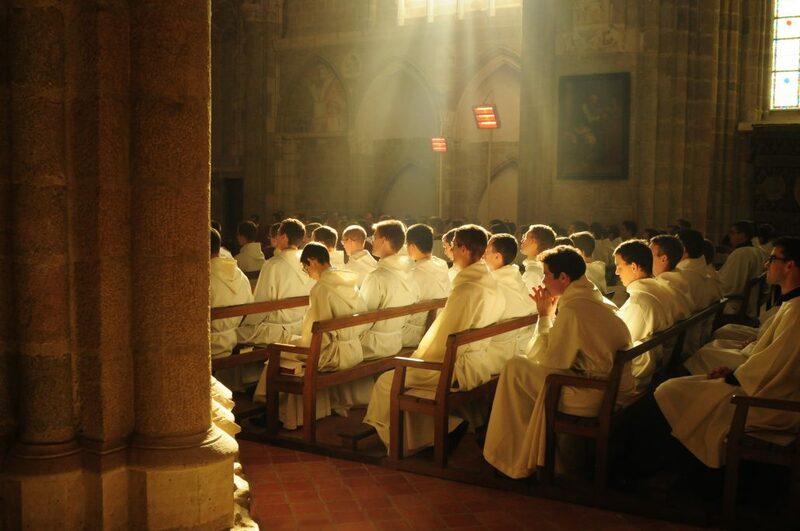 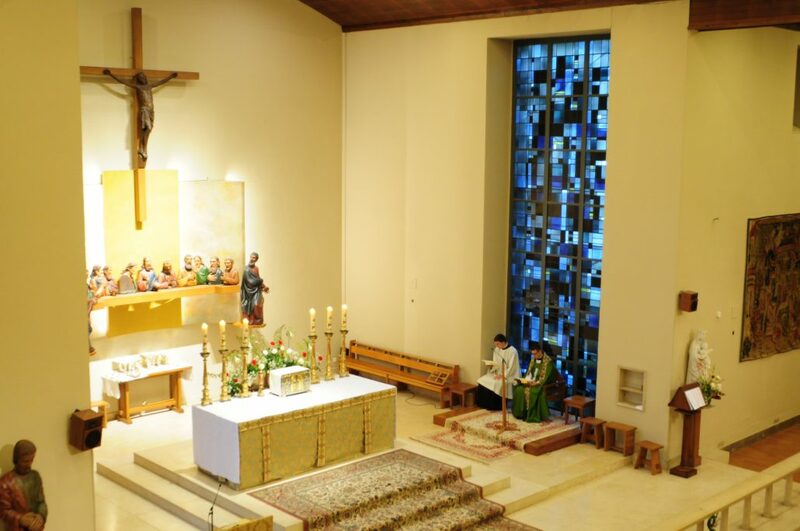 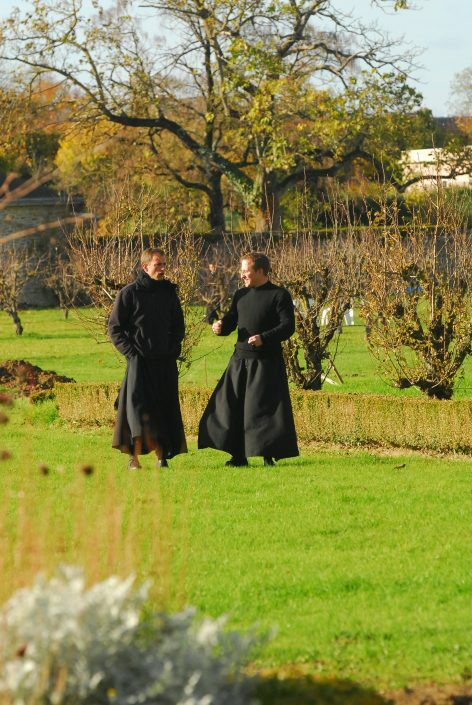 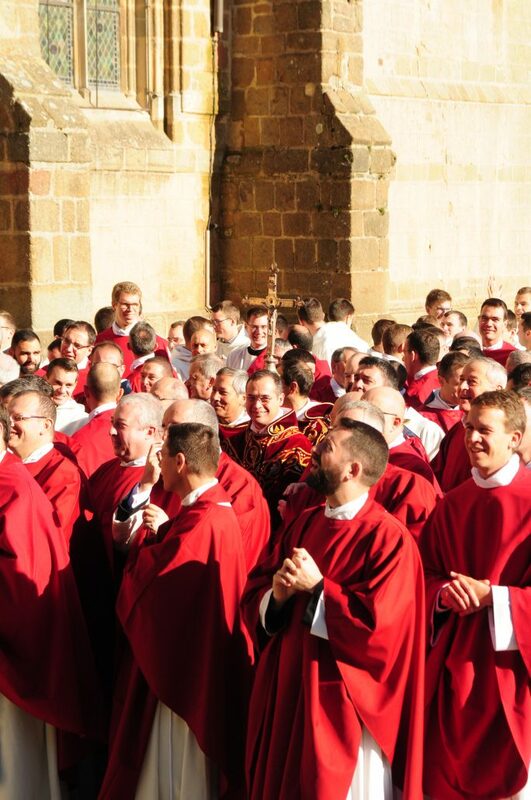 Like every year, all the members of the Community was reunited during three days, between the 13th and the 15th of November, for a time of prayer, fraternal reunions and reflection. 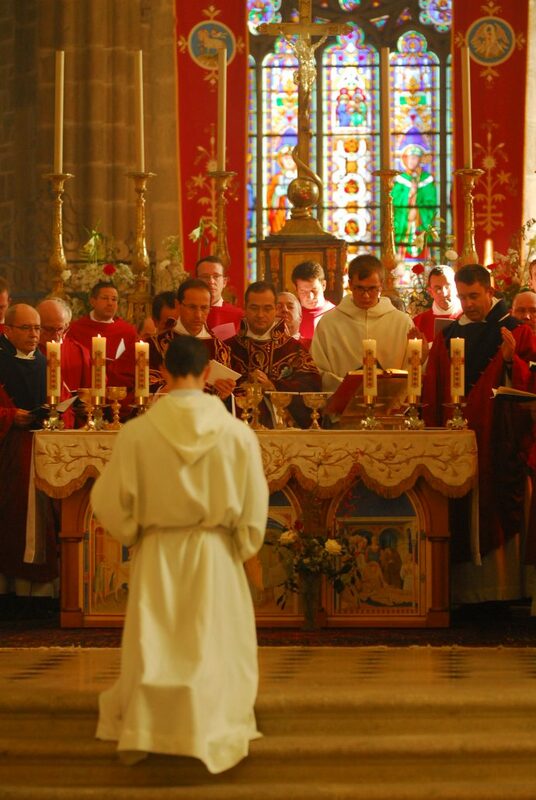 During the votive Mass of the Holy Spirit which opened this General Assembly of the Community of Saint Martin, the Rev. 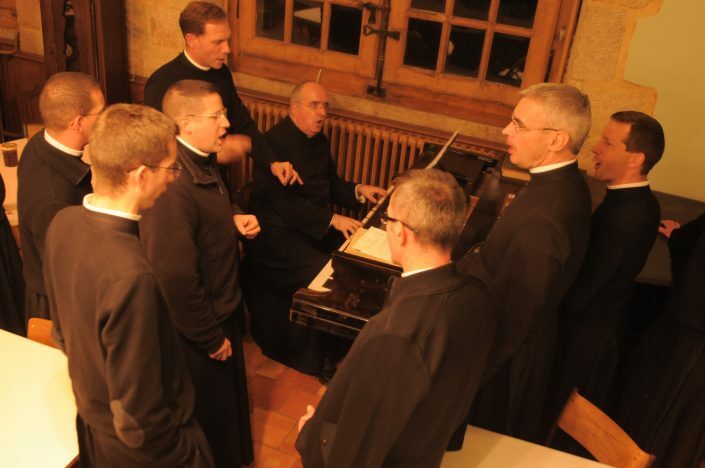 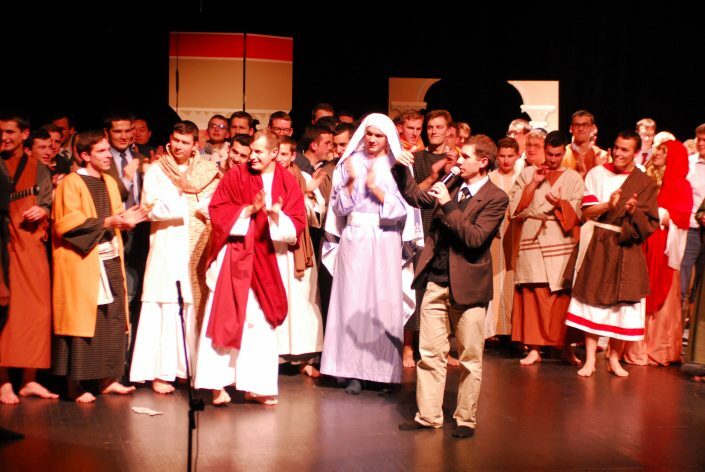 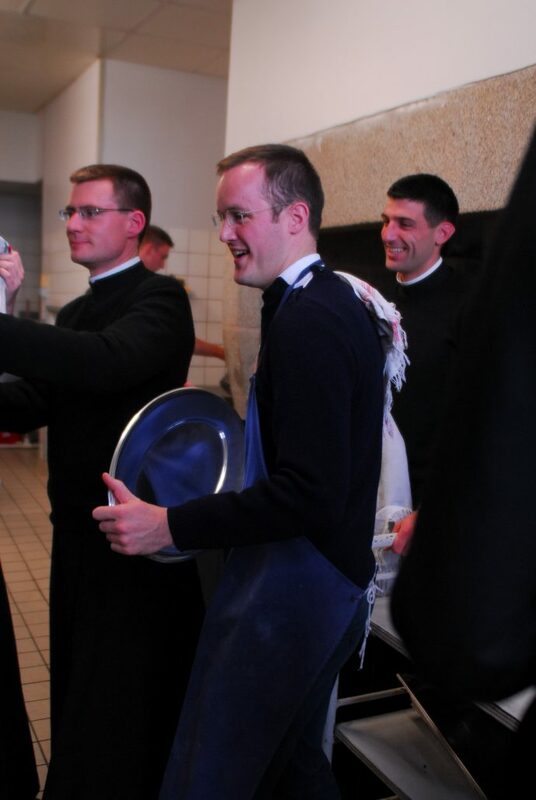 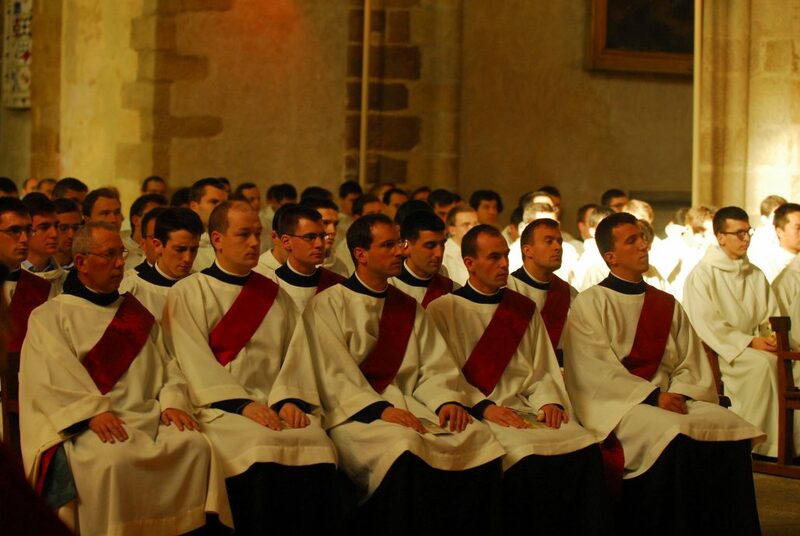 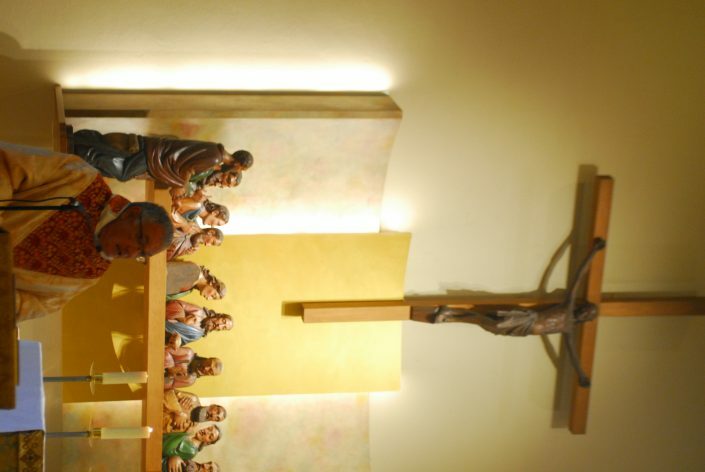 Paul Préaux, General Moderator, exhorted the priests, deacons and seminarians of the Community to imitate the charity of Saint Martin by at the same time listening to God and serving people. 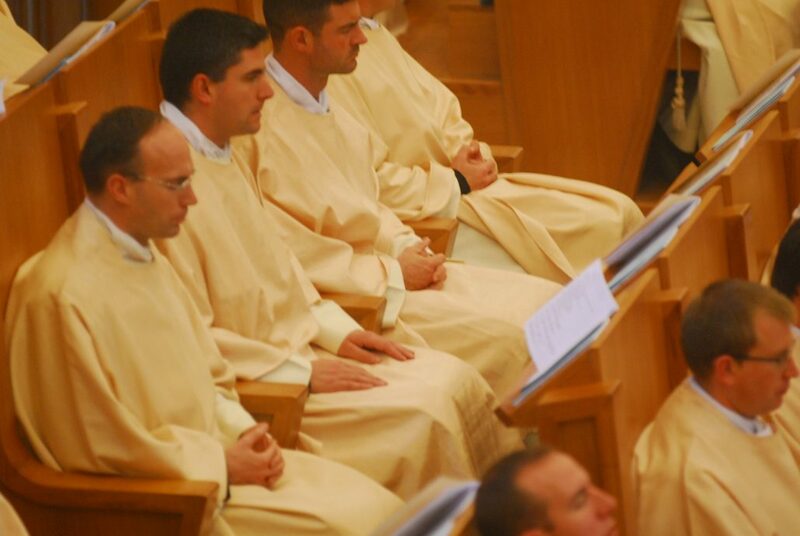 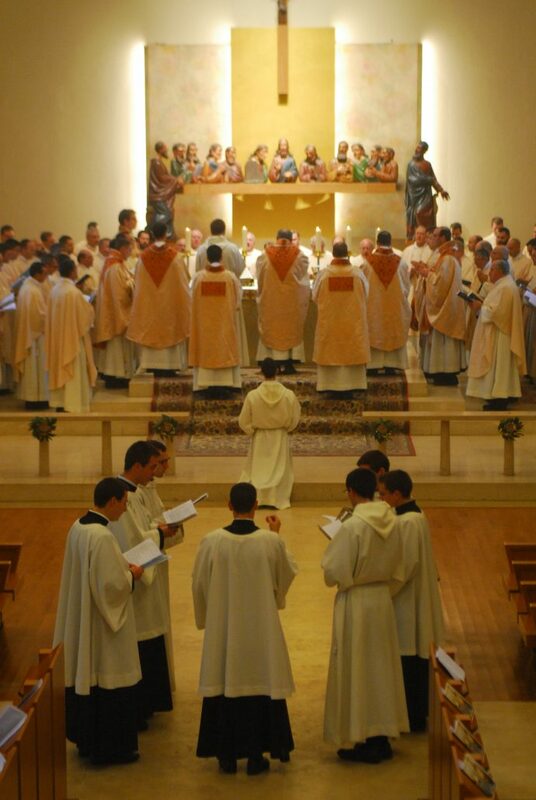 The next day, the votive Mass of Christ the Priests was presided by the Rev. 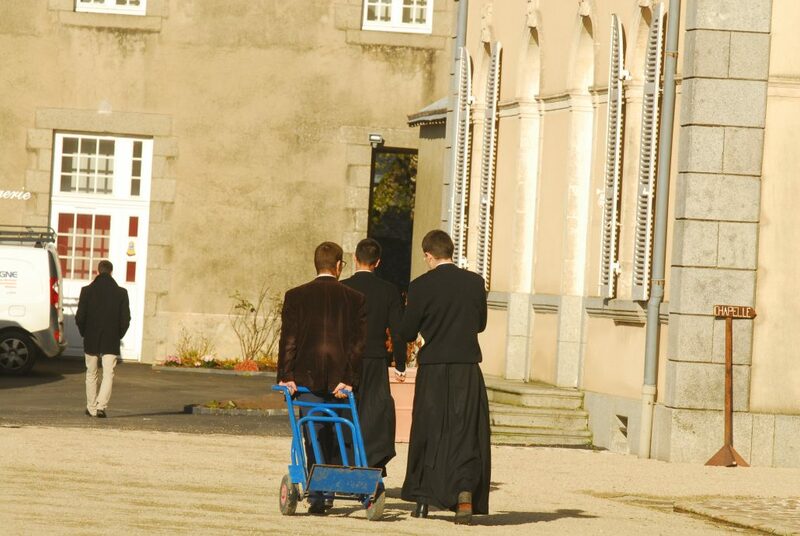 Maurice Franc. 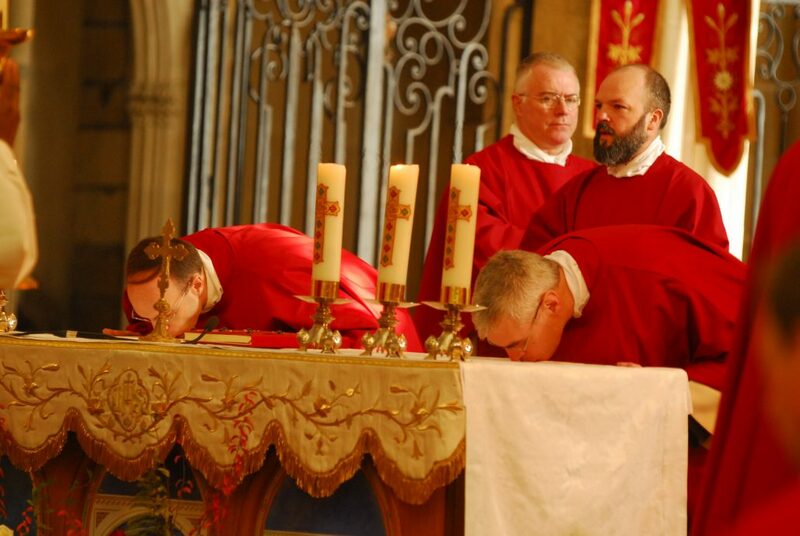 In his homily, he gave thanks for his twenty-five years of priesthood and for the Community who “since its foundation in Voltri is still the same, in spite of its growth in numbers”. By the celebration of the Mass and offices, adoration or the Rosary, all the priests and seminarians was able to live this General Conference as a strong moment of spiritual and communal resourcing. 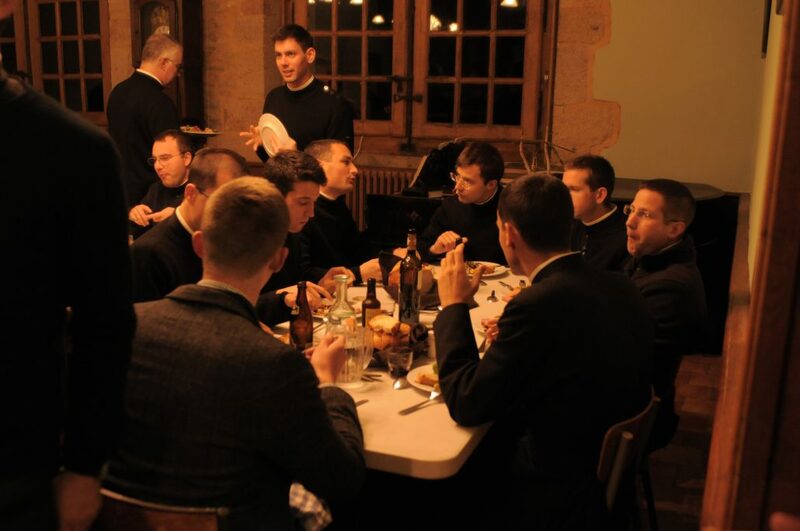 Several moments of relaxation gave as well a place for traditional encounters and reunions between “old” and “new”. 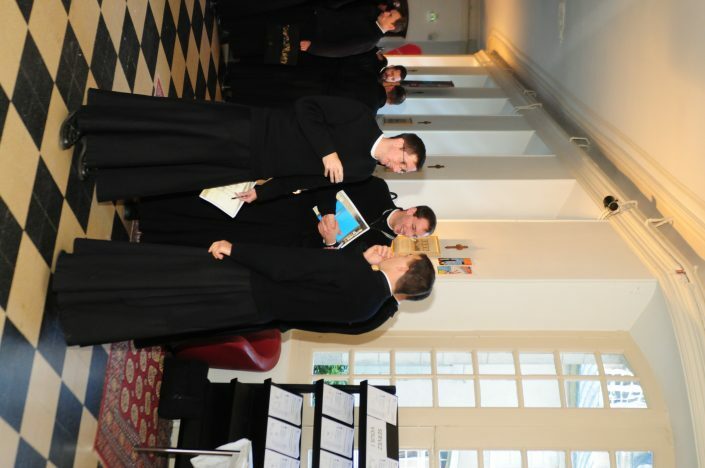 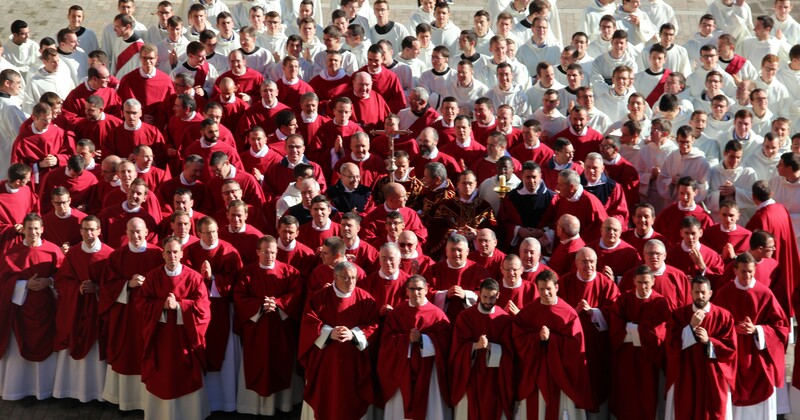 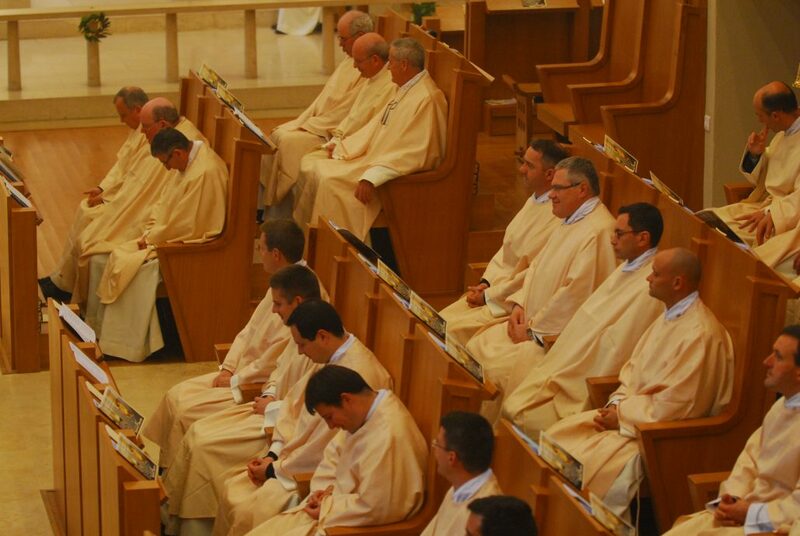 The priests took also advantage of these three days in order to share experiences of their respective ministries. 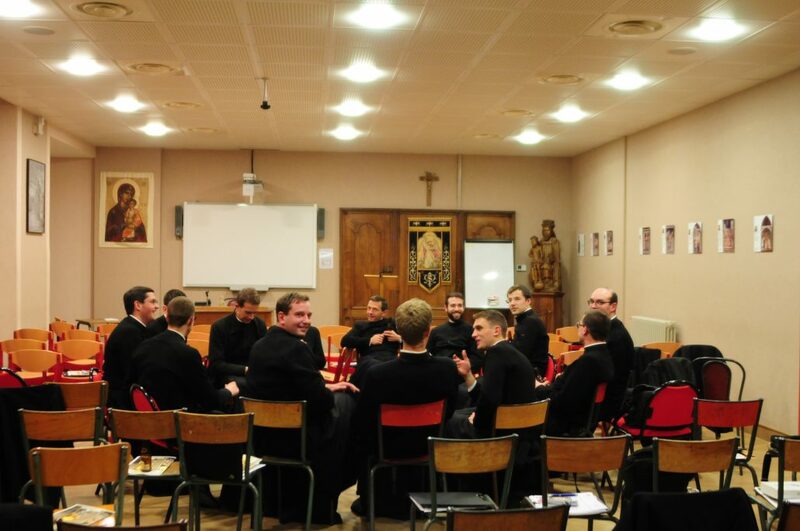 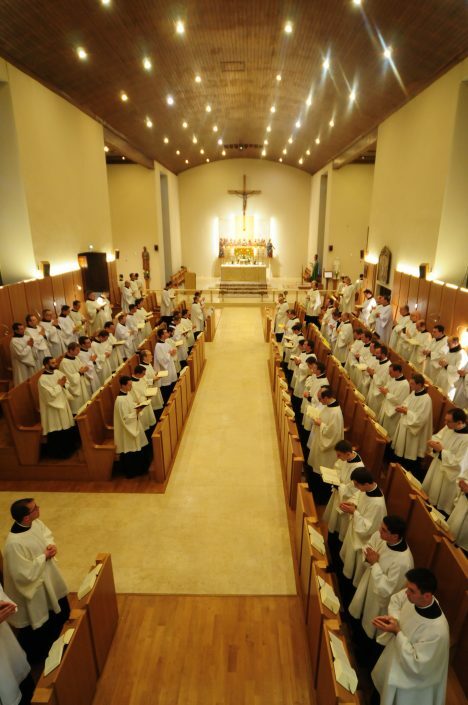 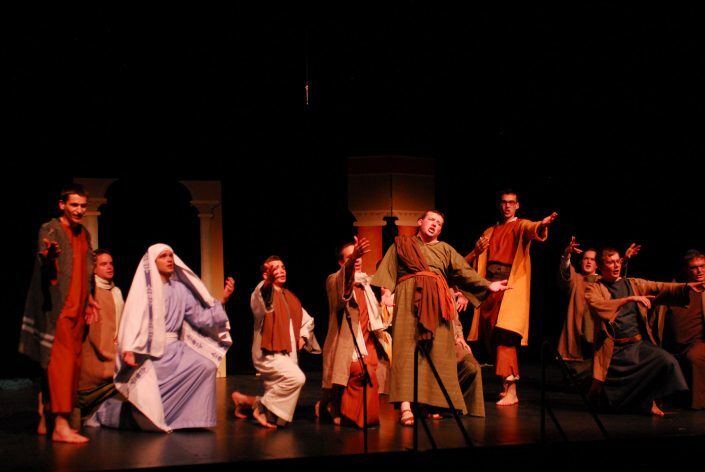 After having attended the show of the seminarians, everyone was able to return on mission, renewed in his desire of priestly holiness and in his missionary zeal.